This security allows the user to see the Incident Tracker for the matching types they have security for. 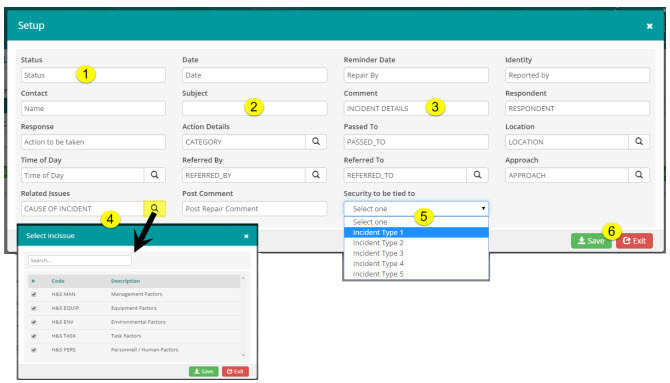 This security allows the user to create and manage the Incident Types as seen below. Based on which security the user has, they will be able to see the incidents relating to that type. The ability to add, edit and delete the information about the incidents is based on the Access, Create, Edit and Delete aspect of the associated security.